ETA approved when used with Fischer resins VW360S / V360 / VT380C and FEB RM resin capsules. Suitable for use in non-cracked concrete and dense natural stone. Hex head, external drive. A4 stainless steel - corrosion resistant to class 3. 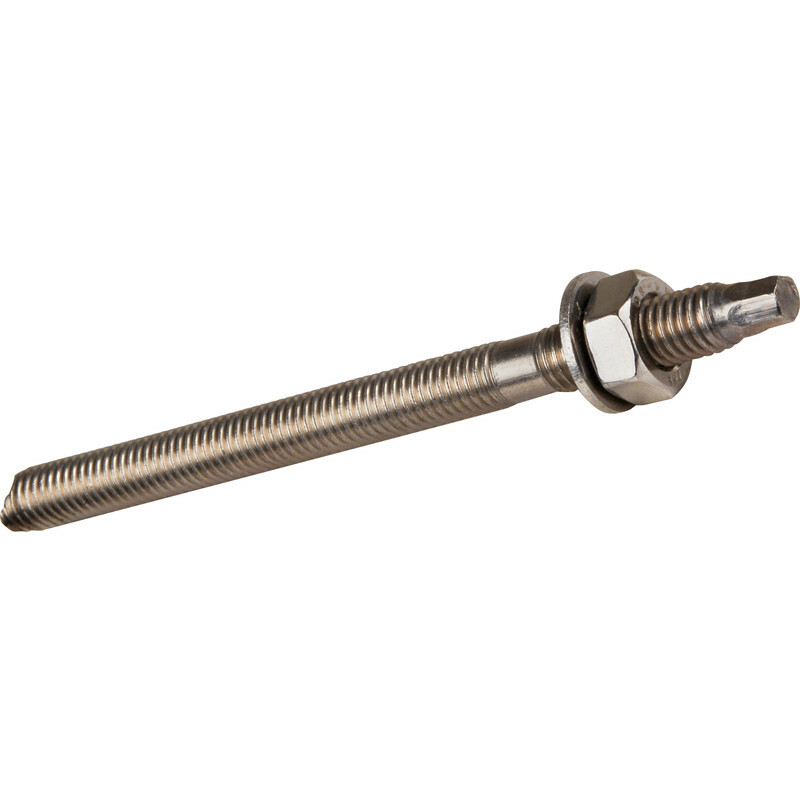 Fischer RGM A4 Stainless Steel Threaded Stud M20 x 260mm (10 Pack) is rated 4.3 out of 5 by 4. Rated 3 out of 5 by Toolbelter from Ok Adequate quality. The chamfered end is finished well and though it would crush the glass phial, ti doesn't aid insertion. The washer is simply too small and too thin to adequately distribute downward forces. Rated 5 out of 5 by Gudday from Great quality Bought this to fix fencing posts to garden wall, excellent quality, more than adequate for the job. Rated 5 out of 5 by The Fabricator from Great stock range I was in a pickle as my usual supplier let us down with delivery of these and was very impressed that Toolstation had them in stock for next day delivery. I also placed the order late in the day and they arrived before 10am.